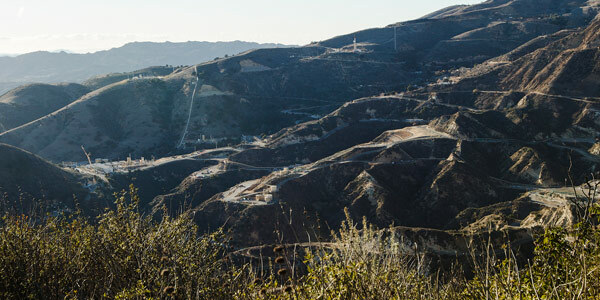 FERC last week approved the extension of most of CAISO’s proposals to address reliability concerns posed by the Aliso Canyon natural gas storage facility, whose capacity has been limited since a massive methane leak in 2015. The commission’s Nov. 26 order approved extension of six of the seven Tariff provisions, rejecting the continuation of gas price scalars used to calculate commitment cost caps and default energy bids for generators served by Southern California Gas and San Diego Gas & Electric (ER18-2520). The provisions include a measure allowing the ISO to enforce constraints on the maximum amount of natural gas that can be burned by generators served by the two gas providers. The constraints were based on limited supply anticipated by CAISO during specific hours. The provisions also allow CAISO to suspend or limit the ability of scheduling coordinators to submit virtual bids if it’s determined virtual bidding could undermine reliability or grid operations. The ISO’s Department of Market Monitoring did not support the extension of the price scalars, arguing that they have not been useful tools for managing high prices. FERC agreed, writing that “CAISO’s use of the gas price scalars over the past year were not effective and adversely affected the market through weakened market power mitigation and increased bid cost recovery for the period that they were active. “We find DMM’s analysis regarding the market impacts of the gas price scalars to be persuasive,” the commission said, declining to extend the provision. The damage to Aliso Canyon, once the state’s largest natural gas reservoir, poses challenges to generators and regulators alike. FERC approved CAISO’s plan to extend the temporary Tariff provisions the ISO implemented last June in response to natural gas pipeline restrictions stemming from last year’s closure of the Aliso Canyon natural gas storage facility. FERC approved CAISO’s use of a natural gas price index included in temporary Tariff provisions the ISO implemented last spring in response to the closure of the Aliso Canyon storage facility.